Nearly two dozen chief information officers from leading U.S. health systems say they're keenly focused on patient engagement, a new report shows - while also trying to wring value from their technology infrastructure and innovate for the future. In an industry such as healthcare, where imperatives shift by the month and technology evolves by the day, the issues competing for space in the minds of IT decision-makers are constantly changing too. Several key priorities are well known, others are perhaps surprising – but all are indicative of where other CIOs should be paying attention if they aren't already. Interestingly, finding ways to improve digital health and optimize the patient experience was far and away the top to-do for those tech decision-makers who gathered at a recent roundtable: 17 out of 22 said those twin goals were leading their agendas, according to consultancy Impact Advisors and Scottsdale Institute. Whether on the patient side (inpatient patient experience technology, wearable biosensors, care-management apps for population health) or the provider side (care coordination tools, next-gen decision support), emerging digital health tools are of keen interest for CIOs looking to make investments, the new report shows. 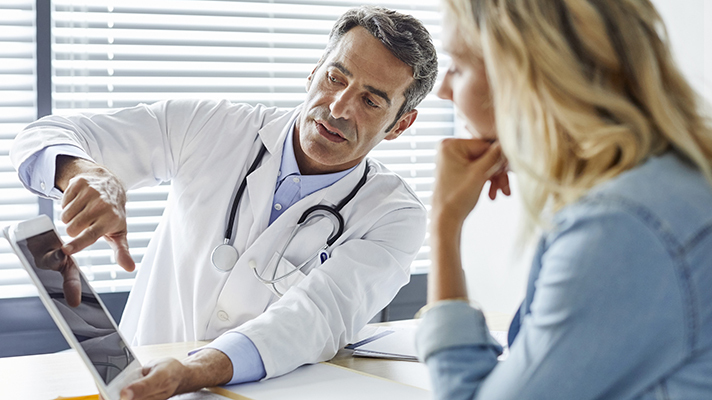 More than 80 percent of them cited patient engagement and experience a chief goal, according to Impact Advisors – the most frequently mentioned priority by a big margin. During the 2018 Scottsdale Institute Annual Conference, Impact Advisors convened nearly two-dozen IT execs from leading U.S. health systems including Advocate Aurora Health, Henry Ford Health System, Methodist Le Bonheur Healthcare, UCLA Health, University of Chicago Medicine to come to its findings. That high level of interest "underscores a growing recognition – especially among industry leaders – about the critical need to be able to compete on convenience, access to care and value (as defined by patients)," researchers from the consultancy said. "The focus by participating CIOs on digital health, virtual care and the overall patient experience is also notable because health-delivery organizations are no longer just competing with other hospitals, health systems and physician practices," they noted. "New, non-traditional players have also emerged, such as retail clinics from major pharmacy chains and onsite workplace clinics increasingly being offered by large employers." Even as new and ever more envelope-pushing technologies crowd into a healthcare space that's fast-reshaping itself, CIOs are also looking to gain efficiency and top performance from the IT infrastructure they already have in place. More than 60 percent of those at the roundtable cited containing costs or improving IT value as a top priority. "As recently as even five years ago, many hospitals and health systems nationwide were investing significant amounts of money to implement a new enterprise EHR – or upgrade an existing one – to maximize meaningful use incentive payments," according to Impact Advisors. "In some cases, implementations were rushed or narrowly focused on the capabilities needed for meaningful use," they add. "Fast forward to 2018, and financial challenges are forcing CIOs to stretch the technology dollar more than ever. At the same time though, there is also now significant pressure internally to demonstrate tangible value from existing IT investments—particularly the enterprise EHR." But in the post EHR era, innovation is the ultimate goal – nearly two-thirds of CIOs said that imperative, which admittedly means different things to different technology decision-makers, was a key priority for their hospitals and health systems. Impact Advisors noted that they're furthering these goals in a variety of ways: launching dedicated innovation centers, hiring chief innovation officers and expanding the types of organizations – both inside and outside of healthcare – with which they forming strategic partnerships. "Although approaches to innovation range widely, one consistent theme in the discussion was the importance of putting more structure and governance behind innovation to ensure efforts are better aligned with the organization’s overall strategic goals," according to the report, which noted that there was little mention at the roundtable of buzzed-about tech such as FHIR or blockchain.